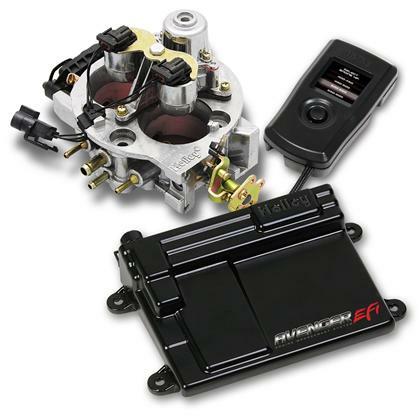 550-200 - Holley EFI System - Avenger Throttle Body Kit - Pann Auto Performance - San Diego largest aftermarket automotive performance parts - What do you drive? 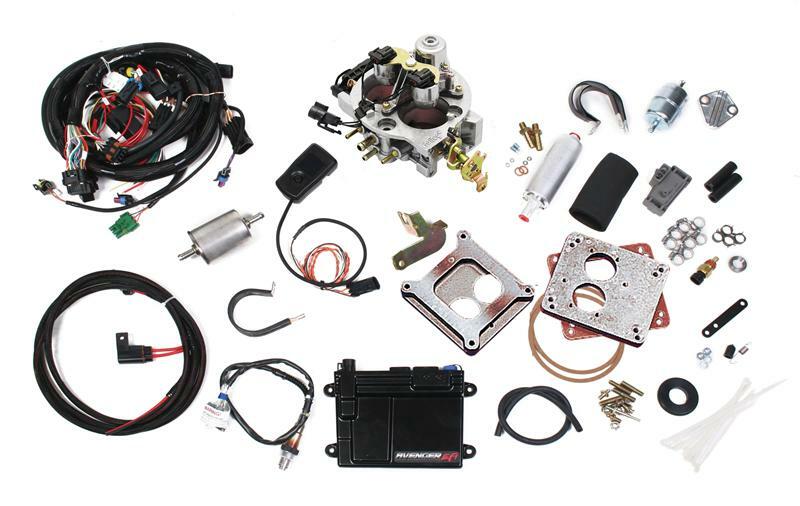 Replace your carburetor with a “Bolt on and Go” TBI system! Avenger EFI throttle body kits are a direct replacement for a carburetor. Plug and play connectors make installation a snap and the Avenger’s self-tuning capabilities will have you up and running in no time. Comes with all necessary parts for a complete installation. All set up is done on the included hand-held tuner, so no laptop is required!